Polaris is sending our 5th and 6th grade crews to Virginia and Washington D.C. in April. 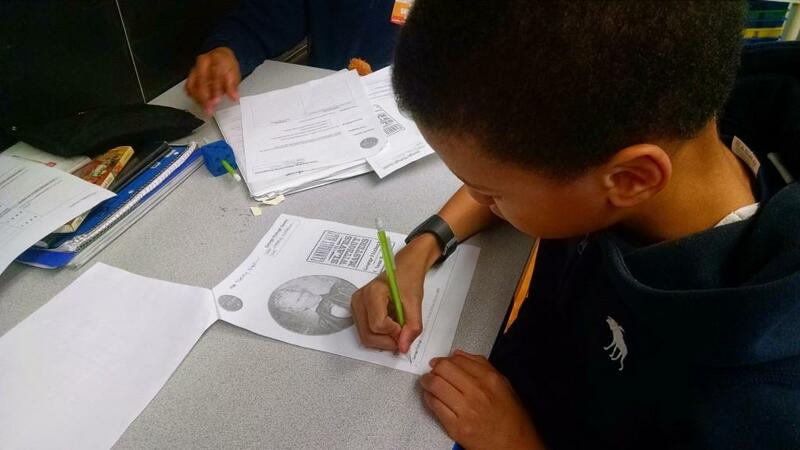 They will travel over 700 miles to Thomas Jefferson’s Monticello Plantation, to tour the National Mall and Lincoln Memorial inD.C., and to partner with the Library of Congress to create a documentary for future learners from primary sources they’ve studied. Because of your support, students have a seat on this bus headed east. But the work has already begun! Dan Wilk, a Thomas Jefferson expert at the Library of Congress, has partnered with Polaris to teach students how to analyze primary sources. Students have examined A Memoir of a Monticello Slave by Isaac Jefferson, Twelve Years a Slave by Solomon Northup, and “Life of a Slave,” the personal narrative of Frederick Douglass. As they are headed to Thomas Jefferson’s home, they have also read many of his pieces, including letters, laws, his only published book Notes on Virginia, his Farm Book and the Declaration of Independence along with its drafts. How did slavery continue if it was clearly wrong? Is slavery still happening the world today? How could Thomas Jefferson write “We believe these truths to be self-evident that all men are created equal,” yet he continued to own slaves? Why are were there so many different perspectives of slavery? Even the Expeditionary Learning network has taken notice! During the last weeks of February, David Grant, national media producer for EL, filmed student work with primary source analysis for his documentary of best practices usedin over thousands of schools nationwide. Now thousands will see the hard work being done in PCA classrooms!